Lionel Messi is an Argentine professional footballer. He plays as a forward for Spanish club FC Barcelona and the Argentina national team. 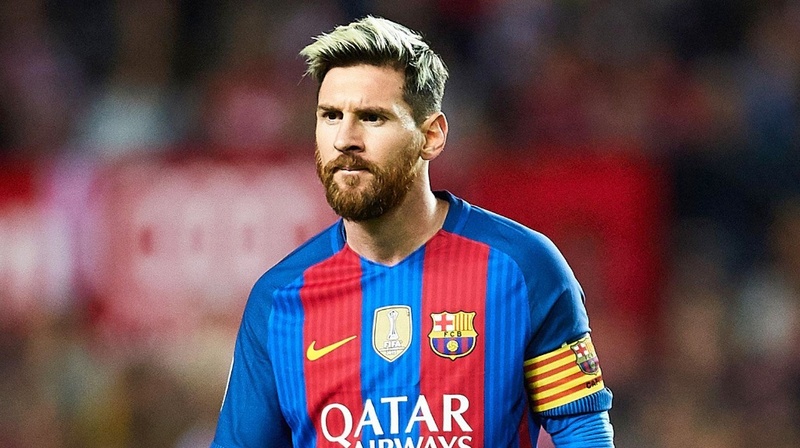 He has won 29 trophies with Barcelona, including eight La Liga titles, four UEFA Champions League titles and five Copas del Rey. Lionel Messi was born on 24 June 1987 in Rosario, Argentina to Jorge Messi and Celia Cuccittini. His father is a steel factory manager and mother worked in a magnet manufacturing workshop. He is the third of four Siblings. At the age of four he joined local club Grandoli, where he was coached by his father. He joined the Rosario club when he was six years old. He was diagnosed with a growth hormone deficiency when he was 11 years old and his local club, River Plate, did not want to pay to treat it, so he moved to Spain to play for FC Barcelona. At age 13 Messi and his family relocated to Barcelona, and he began playing for FC Barcelona’s under-14 team. He scored 21 goals in 14 games for the junior team, and he quickly graduated through the higher-level teams until at age 16 he was given his informal debut with FC Barcelona in a friendly match. Messi’s play continued to rapidly improve over the years, and by 2008 he was one of the most dominant players in the world. During the 2009–10 seasons Messi scored 34 goals in domestic games as Barcelona repeated as La Liga champions. He earned the Golden Shoe award as Europe’s leading scorer, and he was named the 2010 world player of the year. When he was 25, he became the youngest player in history to score 200 goals in La Liga and in March 2012, he became the first player in Champions League history to score five goals in a single match. Messi has been in a relationship with Antonella Roccuzzo, since 2008. Messi and Roccuzzo have two sons: Thiago (born 2012) and Mateo (born 2015). On 30 June 2017, he married Roccuzzo at a luxury hotel named Hotel City Center in Rosario with about 260 guests attending his wedding.